Shawn Leary announces the RARPEPE raffle to support charity. Visit the Rare Pepe Blockchain Trading group to find Shawn and follow the auction. 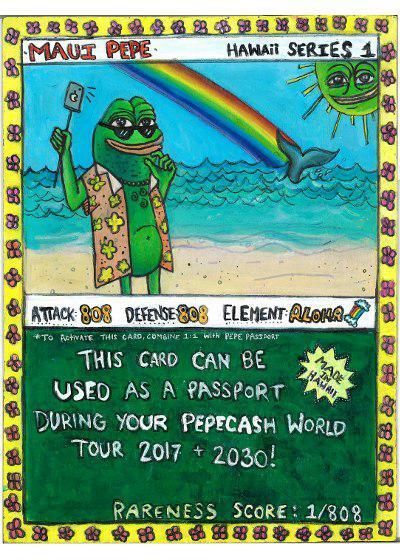 To celebrate the big auction Monday night, and also to help a good cause, one lucky holder of JUNSETHPEPE will be chosen at random, using my 4 year old son to chose, and be sent one single owner, RAREPEPE!! 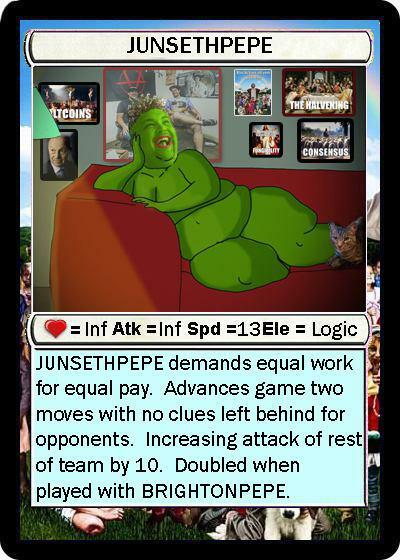 You must own JUNSETHPEPE by the end of the auction which takes place Monday evening 6ET 1 in 150 chance of winning an original RAREPEPE! 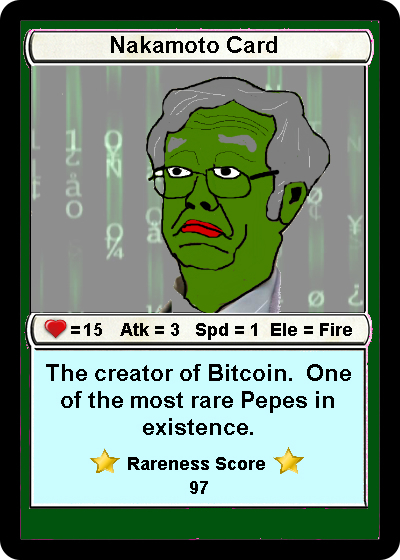 The striking thing about this generous raffle is the RAREPEPE is the first rare Pepe ever attached to the Bitcoin blockchain. This is the Rolls Royce, the Rolex, the Royal Flush of Rare Pepes. So be sure to be quick, buy yourself a JUNSETHPEPE NOW, if you want to be in the draw. The auction takes place Monday evening, 10th October at 6pm ET. Author disclosure: RP News author holds two JUNSETHPEPE’s, so is in the draw. Rare Pepe News is excited to announce we are now Officially Rare! !